With the sweet, sweet promise of cocktails delivered to your doorstep, the Wanderer comes revving down a street near you. A pop-up mobile bar in a specially kitted-out vintage Citroën, this cocktail factory on wheels would have made for a mother of a Pimp My Ride episode back in the day. It all began when satisfied customers of top Newcastle bar, the Botanist, wanted to be able to experience their favourite drinks off-premises. “We [got] inundated with requests asking if we can provide our cocktails and drinks for private celebrations”, recalls head of bars, Nick Whitby. Then the owners, The New World Trading Company, had a brainwave: why not create an all-singing, all-dancing mobile bar service that could show up at events with drinks, bar staff and even the odd live act included? After a successful pilot around the North East last summer, the Wanderer is now bookable for events anywhere in the UK. Sponsored by Plymouth Gin, it comes as no surprise that gin-based cocktails are a key part of the Wanderer experience, but there are several other premium spirits available, as well as craft ales, wine, and plenty of non-alcoholic options. You can also create bespoke menus around your tipple of choice, including carefully crafted cocktails that match the theme of your event. 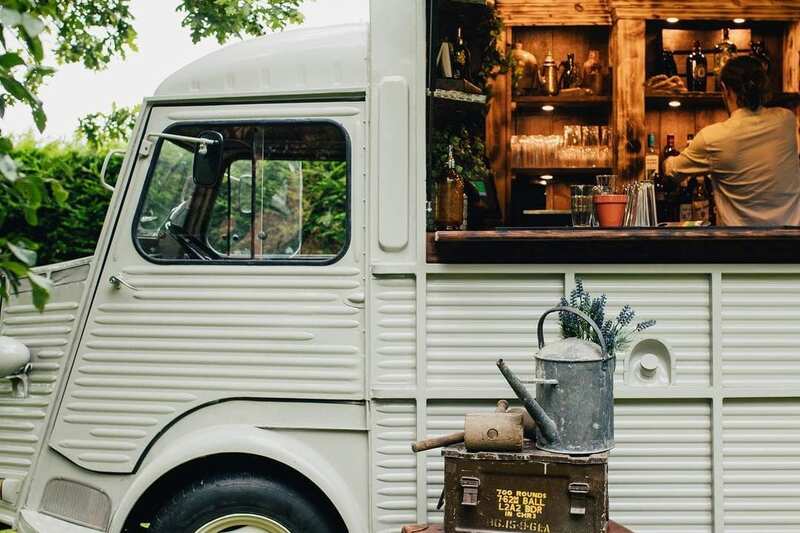 As there are already a few mobile gin joints out there, Jim & Tonic, Mama Gin and The Little Gin Company to name just three, the Wanderer is clear about their USP: “You’re not just getting a mobile bar, you’re getting the knowledge, charisma and award-winning service from our exuberant experts”, they state. The wandering mixologists also pledge to make your cocktails to perfection and keep your guests fully entertained. More in the mould of a cool scene stealer for a big birthday bash or wedding than a takeaway gin van, hiring the Wanderer doesn’t come cheap. 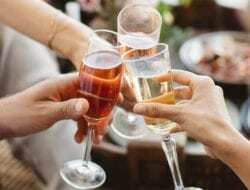 The minimum fee is £1500 for a fully stocked bar with £500 on top for bar staff, ice and glasses. Deliveroo for luxury alcohol it is clearly not, but if this isn’t the grown-up equivalent of having a bouncy castle, a popcorn machine and an ice-cream van at your party, we don’t know what is!